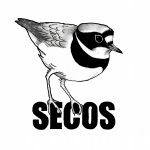 The name of the Society shall be the South East Cheshire Ornithological Society (SECOS) and its official address, that of the Secretary. The object of the Society shall be to promote and foster an interest in ornithology by observation, research and record-keeping. 3.1 The Committee shall consist of four Officers (Chairman, Secretary, Assistant Secretary and Treasurer), four Committee members and a Recorder. The duties of Indoor Meetings Secretary and Field Meetings Secretary shall be allocated to any member of the Committee, as determined by the full Committee. 3.2 All members of the Committee shall be elected at an Annual General Meeting (AGM). 3.3 At the three indoor meetings prior to an AGM a notice will be publicly displayed which will detail those Committee members due to retire at the next AGM. 3.4 All proposals to fill the subsequent vacancies must be made on the notice. Proposals must be signed by the Nominee, a Proposer and a Seconder, who must all be members of SECOS. Nominations will close at the end of the indoor meeting prior to the AGM. Secretary and two members in year three. 3.6 The Committee may, at its discretion, co-opt additional Committee members, who will serve until the next AGM. 3.7 In the event of a Committee member resigning before completion of their term of office, the Committee may, at its discretion, co-opt a replacement member to carry on until the next AGM. At that AGM an election must be held to complete the remaining period of office, if any, of the member who resigned. 3.8 There is a non-executive position of President which may, if required by the Committee, be filled by a suitable patron of the Society. 3.9 The position of Hon. Vice-President may be given to a member to reward long and outstanding service to the Society. The Committee shall provide a nomination for approval by the members at the AGM. Vice-Presidents shall have the right to attend Committee meetings in a non-voting capacity. 4.1 The AGM shall take place on some convenient date in April to be fixed by the Committee. 4.2 Any item for inclusion on the AGM Agenda must be with the Secretary at least one month before the AGM. 5.1 All persons interested in ornithology shall be eligible to join the Society, which shall consist of members and junior members. 5.2 Members who are under eighteen at the time of paying the membership subscription shall be termed Junior Members and shall pay the Junior Member’s rate of subscription. They shall not be entitled to vote. 5.4 Non-members may be invited by a member to join the Society’s excursions, accommodation permitting, on payment of the charge fixed for such excursions. 5.5 Should a member be thought to be behaving in any way likely to prejudice the good name of the Society, the Committee may, after investigating the matter, require the member to resign. The Annual Subscription for members and junior members shall be fixed at the AGM and shall be payable from the 1st September. The Committee has authority, at its discretion, to charge for any function or activity of the Society, and also to subsidize any function, activity or interest of the Society up to an amount prescribed by the AGM. Amounts in excess of this general limit can be authorized for a specific project at any General Meeting. (C) An Extraordinary General Meeting called in response to a proposal from not less than 25% of the current membership, when four weeks’ notice will be given to all members. 8.2 At least three weeks notice of any proposed amendment will be given to all members. In the event that the existence of South East Cheshire Ornithological Society is to be terminated, the assets of the society shall then be realized and the full proceeds, following the complete settlement of all outstanding liabilities, allocated to a nationally recognized ornithological society or societies as agreed at an especially convened extraordinary general meeting.